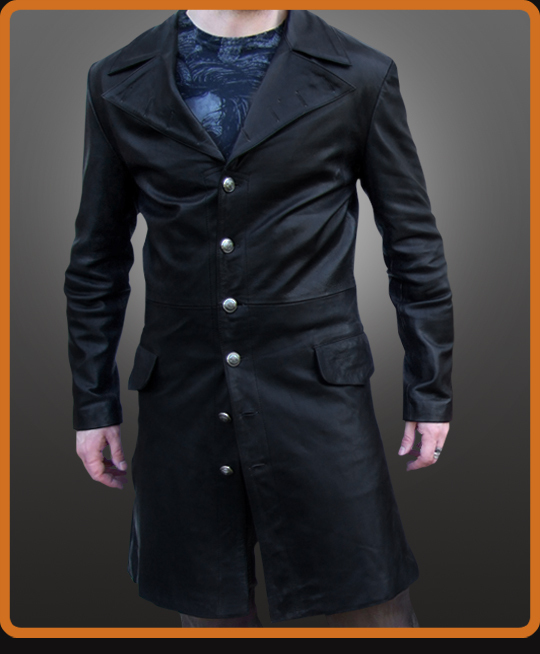 Suede coat replica from the Ghost Rider movie. Longer gothic style is inspired by Wes Bentley’s Blackheart character. The slim fitting jacket in aged-looking suede is very flattering and one of our best selling styles. Uniquely detailed with silver buttons down the front and on the sleeve cuffs. Available in Black, Antique Brown, and Wine Suede. Please note: Suede jackets can take up to 21 days to have made and delivered.